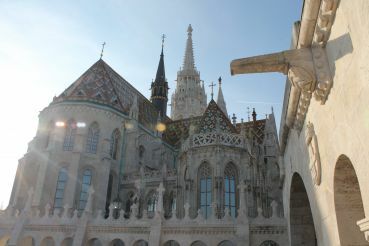 Matthias Church in Budapest differs from other religious buildings of the city with its unsurpassed architecture. 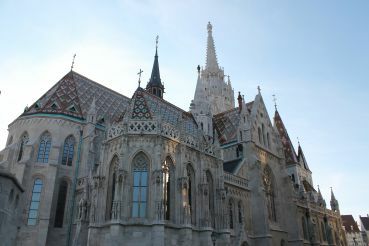 The Gothic style of the church is not typical for Hungary. 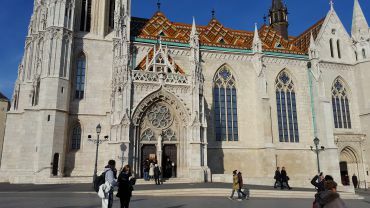 This remarkable building of the 14th century is located in one of the most tourist districts of Budapest, between Square of the Holy Trinity and the Fishermen's Bastion. In addition to the architectural heritage, it is worth seeing the luxurious interior of the church, created by the famous Hungarian architect Frigyes Schulek. 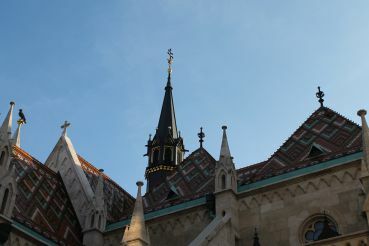 Matthias Church is a part of the Buda Castle complex. The first temple on this site was built in 1015 and consecrated in honor of the Virgin Mary. During the Mongol invasion in 1242 the church was destroyed. Later, during the reign of King Béla IV, it was rebuilt. During the reign of King Matthias Hunyadi, a large-scale reconstruction of the church was carried out and a bell tower was erected. 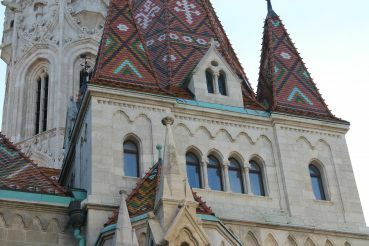 Since then, the second name – the Matthias Church, or Matthias – has been assigned to it. In 1541, during the invasion of the Turks, the Catholic Church was transformed into a mosque. The last major change in the temple took place from 1874 to 1896. The architect Frigyes Schulek scrupulously returned the church to its original appearance in the Gothic style. The main features of the magnificent temple are its colored stained-glass windows and wall paintings. Below the tower of Béla you can see two columns, created in 1260. The Museum of Religious Art was opened at the church. 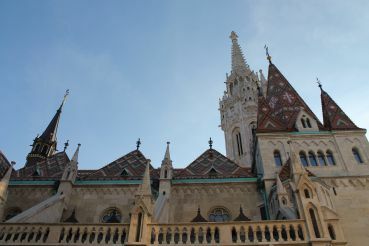 You can climb the tower of the Matthias Church. 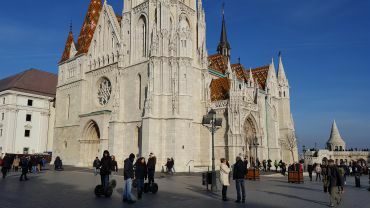 City buses № 16, 16A and 116 run to the Matthias Church. Opening hours: the temple accepts visitors daily. On weekdays – from 09:00 to 17:00, on Saturdays – from 09:00 to 13:00, and on Sundays from 13:00 to 17:00. Opening hours can often change and will depend on worship services and other activities in the church. There is the entrance fee for all, except for children under 6. 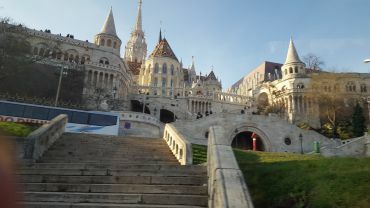 The adult ticket costs 1500 forints, climbing the tower costs also 1500 forints. Students and pensioners have discounts. The data on February 2018.